The key to change is awareness of the beliefs with which we have been indoctrinated, and acceptance that this is not Who We Really Are. We were never broken, sinful or imperfect in any way. 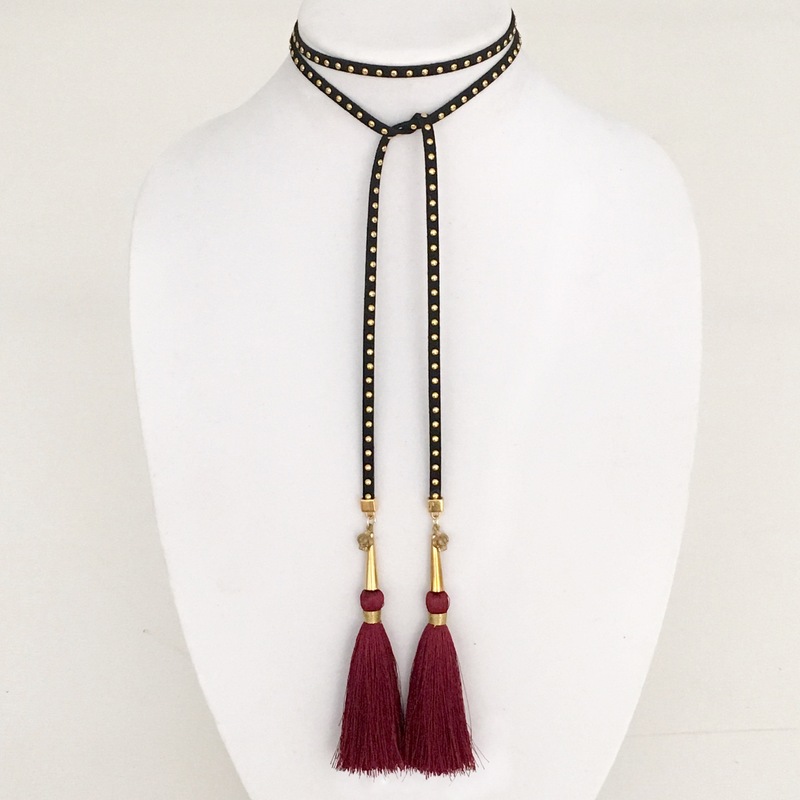 Suede wrap choker with studs- featuring 100% rich silk tassels. 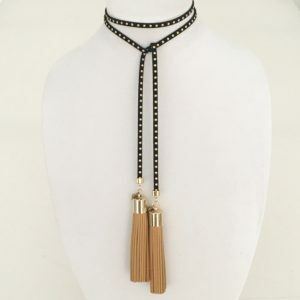 Faux suede wrap cord. Average 38' length for endless combinations. 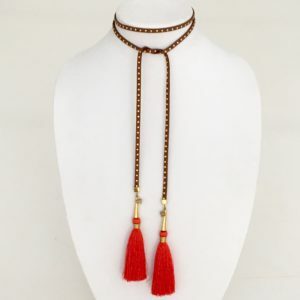 Hand dyed silk tassels travel well, are extremely light and durable. 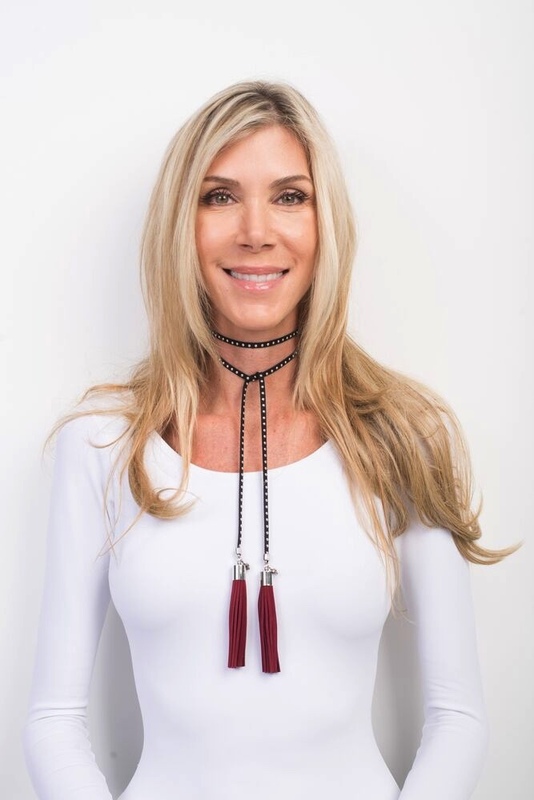 This wrap choker is designed to multi-task and can be worn wrapped around your neck, as a bracelet, a belt or simply as a lariat. All pieces carry the signature crown charm to remind you of the magnificence you possess inside.